ATTENTION PHOTOGRAPHERS (both professional and skilled hobbyists). When the Tubbs fire ripped through Santa Rosa last year, it not only destroyed 5,600 buildings and homes, it destroyed precious family keepsakes and memories. 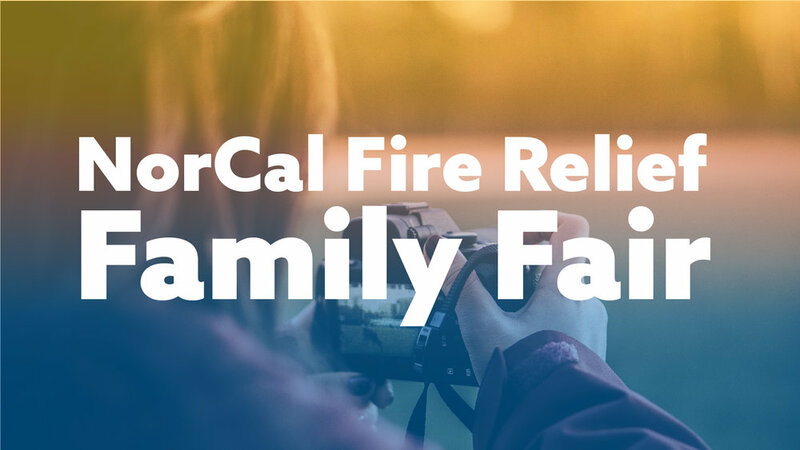 On October 20th, our sister churches in Santa Rosa are holding a picnic and event for those families affected by the fires. We want to send a team of at least 25 photographers to help take new family portraits of the families affected to help them replace their lost family photos. Our friends at MixBook are donating a $100 voucher for 100 families to print picture book albums or framed pictures - but we need good photographers to take those photos. If you’d like to help, sign up below and we’ll get you more information. Use your artistic skills to help those affected by these fires create new memories.